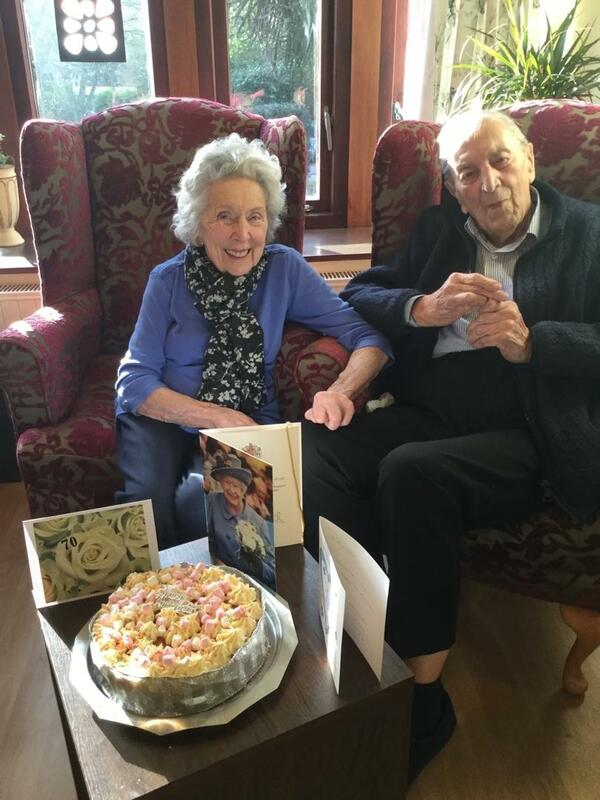 A husband and wife who met in the RAF during the Second World War are now celebrating their 70th wedding anniversary. Staff and residents at Redwalls Nursing Home in Sandiway joined in the anniversary celebrations of John and Marion Thomas last Tuesday. The couple live in Norley, but Mr Thomas, 94, is currently a short-stay resident at Redwalls, in nearby Weaverham Road, Sandiway. They celebrated their big day at the Kingsley Healthcare-run home with a party and a special cake – and were delighted to receive an anniversary card from the Queen. Mr Thomas, who likes to be known as Jack, fondly recalls how he met his future wife during the Second World War while they were both in the RAF working at a base at Malvern near Worcester.